A bigraphical reactive system (BRS) involves bigraphs, in which the nesting of nodes represents locality, independently of the edges connecting them. BRSs represent a wide variety of calculi for mobility, including the π-calculus. This short essay explains how bigraphs compose, and uses the π-calculus to illustrate how they already provide elements of a unifying theory for calculi of mobile interactive processes. Leifer, J.J., Milner, R.: Deriving bisimulation congruences for reactive systems. Proc. 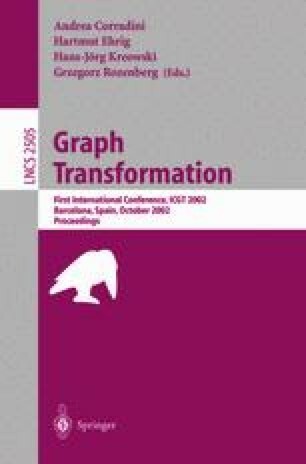 CONCUR 2000, 11th International Conference on Concurrency theory (2000) 243–258. Available at http://pauillac.inria.fr/~leifer. Milner, R.: Bigraphical reactive systems: basic theory. Technical Report 503, University of Cambridge Computer Laboratory (2001). Available from http://www.cl.cam.ac.uk/~rm135.